Within the Canadian Brethren in Christ denomination, significant work has been done up to this point to ensure compliance with the Canada Not-for-Profit Corporations Act which must be completed by October of this year. To be in compliance will bring about a number of changes to the BIC Articles of Government. 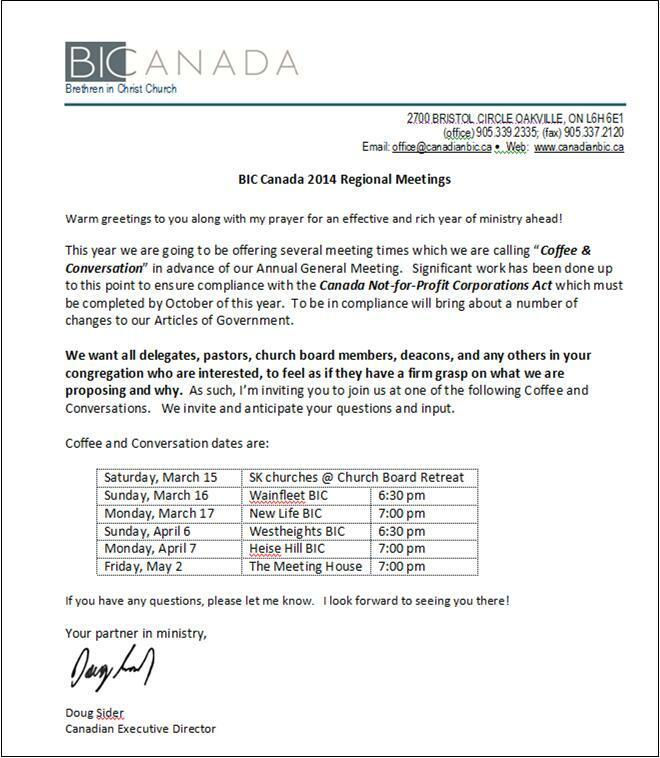 This year BIC Canada is going to be offering several meeting times, “Coffee & Conversation” events, in advance of the BIC Annual General Meeting (May 3, 2014). 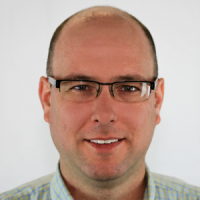 Please see Canadian Executive Director of BIC, Doug Sider Jr.’s invitation below.